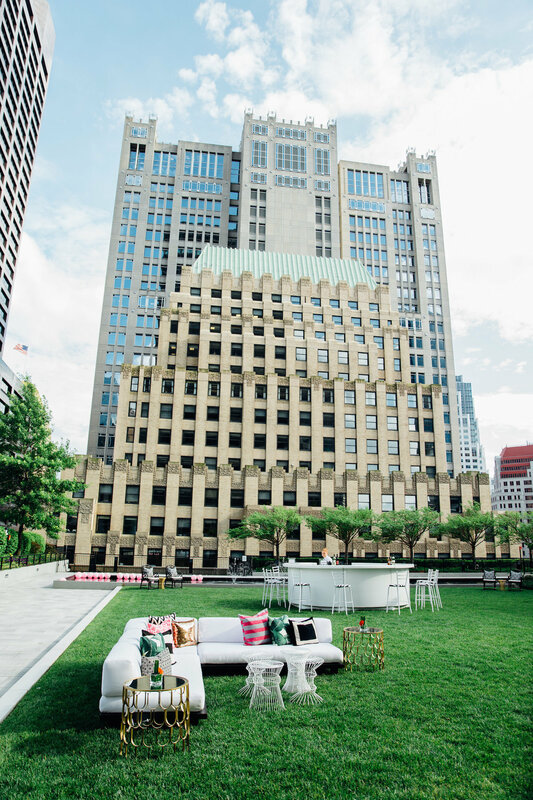 Have your wedding in a lush oasis atop a Financial District skyscraper. By Cheryl Fenton·	 10/22/2015, 12:00 p.m.
Stroll through the Financial District and there’s not much to catch your interest. That is, unless you’re into gray buildings, hustle-and-bustle sidewalks, and horn-honking traffic. But when you search deeper, you can actually uncover a world of reflecting pools, open-air gardens, and quiet peace. Insert shocked face emoji here. 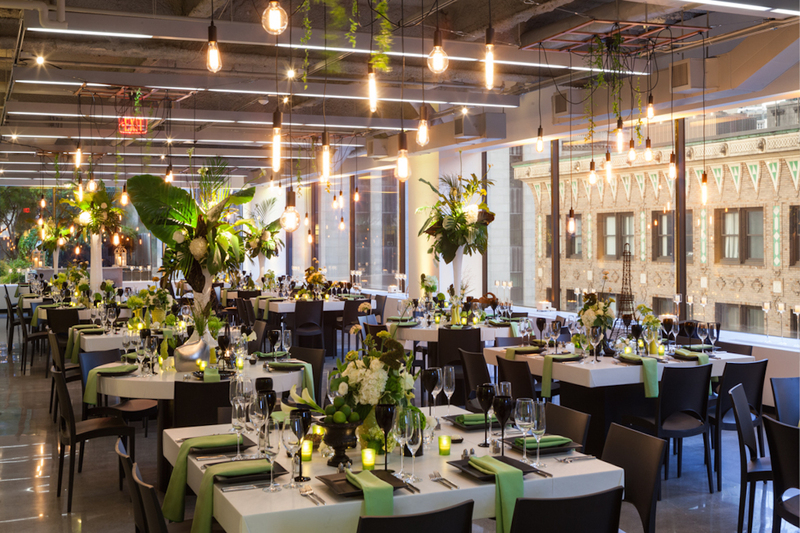 For that calm contrast you’re seeking for your wedding, visit 9OFS, an indoor and outdoor skyscraper event space in the heart of the Financial District. The location boasts 6,000 square feet of newly designed space. 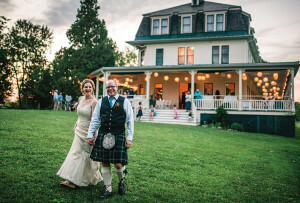 For weddings, they rent out a trio of areas—the Gallery, the Loft, and the Garden. The interior Gallery and Loft spaces are sleek and modern—the contemporary Gallery features floor-to-ceiling windows, while the Loft gives off a modern industrial vibe through its polished concrete floors and exposed ceilings. The pièce de résistance of 9OFS is the 3,000-square-foot Garden, which is adjacent to the Gallery and just a short hallway away from the Loft. Inside this spectacular private rooftop terrace, you and your guests can enjoy a lush oasis in the middle of the sparkling skyline. 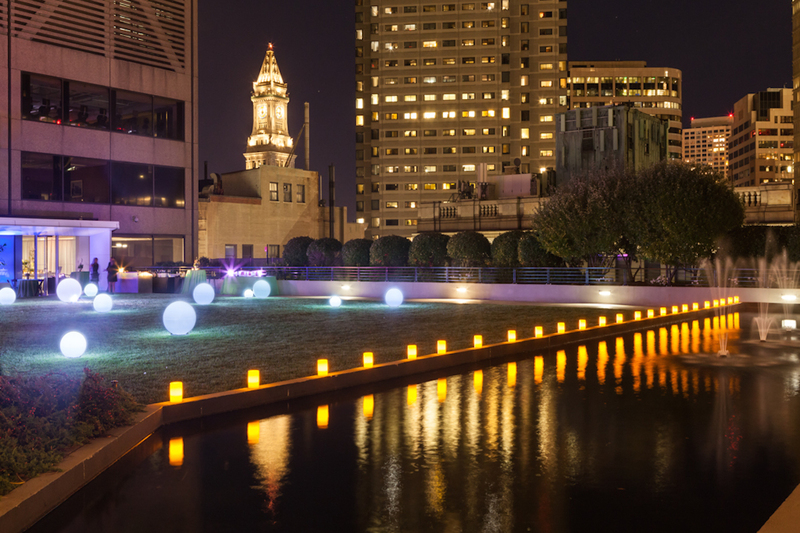 The unique open-air garden is complemented by a long reflection pool and tree-lined walkways, bringing a park-like feel high above the city streets. Depending on our pesky New England weather, the Garden is typically open for events May through late October. 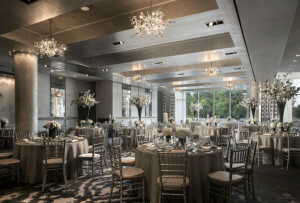 The full 9OFS space can accommodate up to 110 guests for an all-inclusive day, which includes ceremony, cocktails, dinner, and dancing. 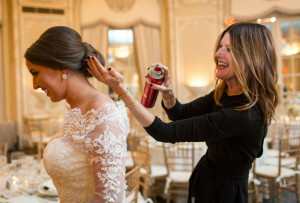 The exclusive vendors they work with are poised to make your big day big dreams come true—we saw former Best of Boston winners East Meets West, Table & Tulip Florals, and Capers Catering on the list, as well as favorites like Winston Flowers and Rentals Unlimited. 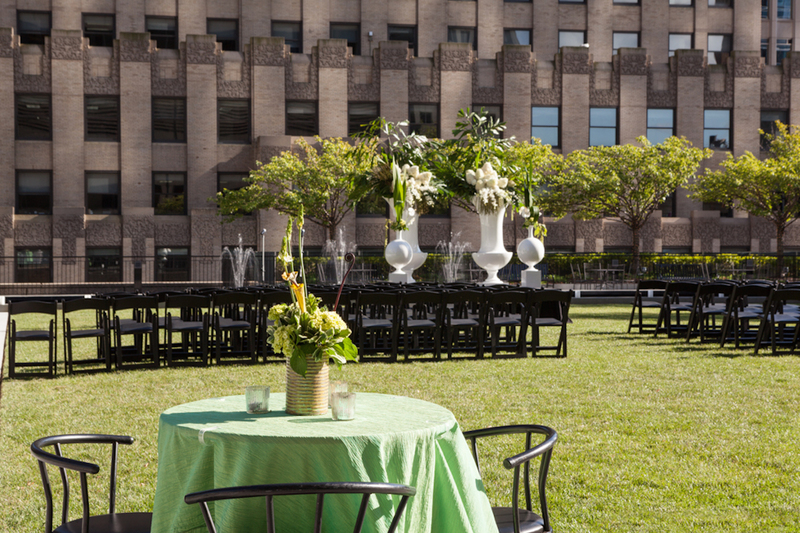 With all of the awe-inspiring views, lush surroundings, and glorious open flexible space, the possibilities for your wedding at 9OFS are limitless. 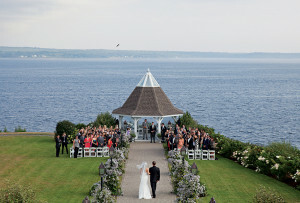 Just like the sky you and your guests will be standing under. 9OFS is located on the ninth floor of One Federal Street in Boston.